When Henry Threadgill premiered "Old Locks and Irregular Verbs" at the Winter Jazz Fest in 2014, what amazed me was how the piece seemed to be built out of the sparest of parts, yet each of the musicians knew exactly how to fill the space in the music, moving it forward with direction. They built something out of the barest essentials, like they were planting seeds that immediately yielded a healthy crop. That is just one skill that Threadgill possesses, conjuring that kind of power out of a group. His music can be dense, spare and intense, maybe a little hard to wrap the ears around. But when listners leave their preconceptions at the door, the majesty of the music comes out. That's another one of composer/saxophonist's traits - getting listeners to listen in that way. With accolades like the 2016 Pulitzer Prize as evidence, many others see these qualities in his work too. In a time when compact discs are continually maligned as obsolete, Pi, which has released Threadgill's work since it began in 2001, takes their commitment to him one step further by releasing two different Threadgill albums at the same time. 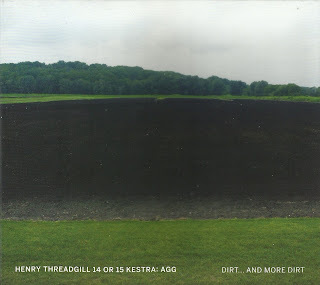 Dirt...and More Dirt was inspired by an art installation that featured 250 cubic yards of earth in a 3600 foot space. 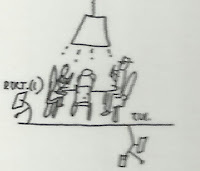 The group 14 or 15 Kestra: Agg features that number of performers. The "or 15" might refer to Threadgill himself, present throughout on flute, but standing out only in the final track with some rugged alto playing. He and four of the players also make up his Zooid ensemble, which gets bumped up on this release with additional brass, drums and two pianos. The ten tracks are divided into two sections. The first six make up the parts of "Dirt" with the remaining four listed as parts of "And More Dirt." No significant difference between the two comes to forefront. What's noticeable is the way each section ends abruptly. Sometimes the group seems to stop mid-thought, like they were halted. Other times, a quick conclusion occurs. Ironically, the drums at the end of "Dirt, Part VI" ease right into "And More Dirt, Part I." Without looking at the CD player, it's easy to mistake the break between tracks. Shifts in tempo or volume also occur within the sections, making it hard to give specifics without dissecting the entire piece. The brass plays raucously in "Dirt Part VI,' with trumpets and trombones playing vastly different lines, then the scene changes to flutes and muted trombones. When the two percussionists are left alone, it sounds like wind-up toys are being cranked to provide forward momentum. Even when the whole piece ends, it doesn't do so with a strong conclusion. Threadgill's impassioned alto presents long, tones with slight vibrato, and even a wail that brings in the ensemble. Things could have continued but the leader has declared this is it. And you have to trust him on this because it works. The composer doesn't play on Double Up Plays Double Up, letting Román Filiú and Curtis Robert McDonald take care of all the alto and flute work. David Virelles and David Bryant are joined by a third pianist this time, Luis Perdomo. (Virelles also plays harmonium.) Craig Weinrib is the only drummer though, joined by his Zooid bandmates Christopher Hoffman (cello) and Jose Davila (tuba). 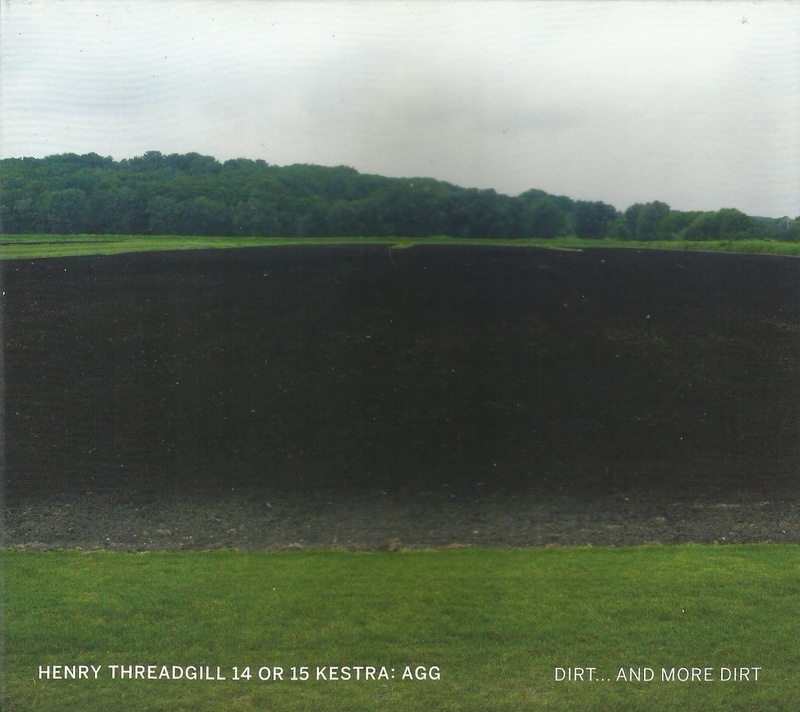 While the aforementioned Threadgill work was filled with sudden stops, this set features a lot of open space, like much of his Zooid work. Davila works as the guiding undercurrent in the nearly 23-minute "Game Is Up," holding it together as it shifts from a lot of piano to alto and cello blends, finally to a bright, but somewhat cautionary theme. Whether or not "Clear and Distinct from the Other A" and its follow-up "Clear and Distinct From the Other B" are meant to resemble each other, each begins with stark piano lines, with cello working with it to lift up the alto (in "A") and flute (in "B"). Virelles' harmonium contributions during "A" almost sound like a lost accordion, adding to the intrigue. The closing track "Clear and Distinct" offers a showcase for Davila, growling and singing as he blows the instrument, hitting the bottom of the register. 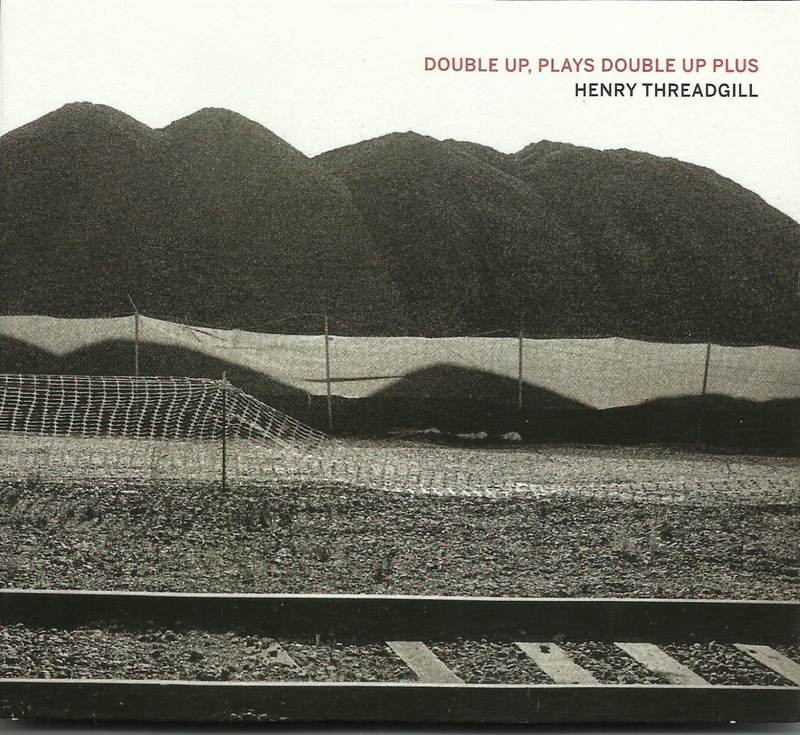 Once again, Threadgill has created some masterworks that prove to be a challenge when it comes to describing. His bandmates have said they feel the elements of the blues in his work, which isn't hard to notice. But he also reinvents those characteristics each time, coming up with something that doesn't sound like anything that's preceded it. Better to trust the master and listen. 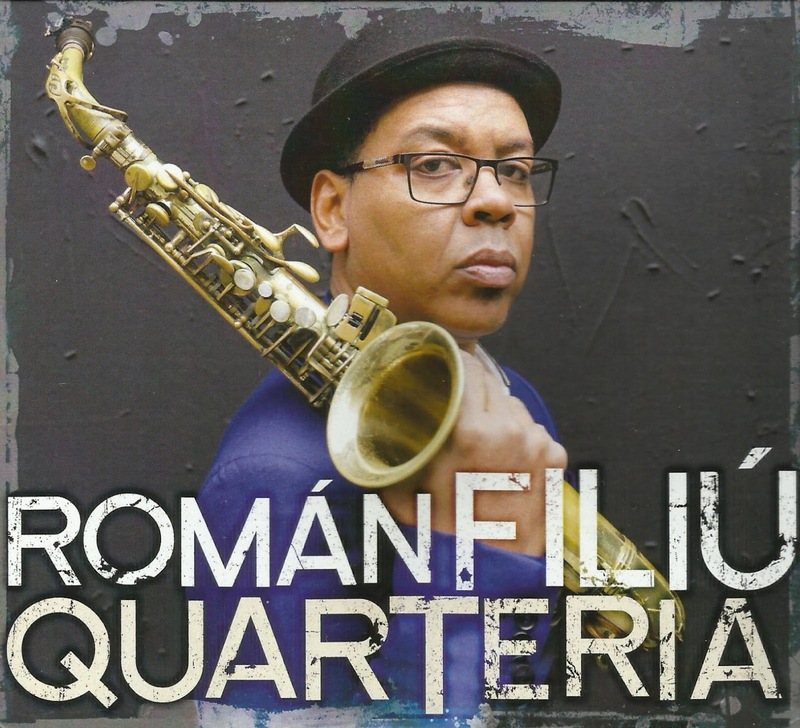 Alto saxophonist Román Filiú plays on both of the new Threadgill releases, as well as the 2016 release of Old Locks and Irregular Verbs. On his Quarteria disc, the lessons he has learned with Threadgill comes to bear on his own music. The album was inspired by growing up in the public housing of Santiago de Cuba, where families lived in close proximity to one another. 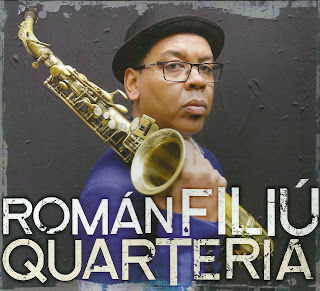 That concept launches the album in "Fulcanelli" where Filiú's alto, Ralph Alessi's trumpet and Dayna Stephens' tenor play melodies parallel, creating individual voices that don't interfere with one another. Virelles and Weinrib are part of this rhythm section, together with bassist Matt Brewer and percussionist Yusner Sanchez. While they create grooves underneath, the horns (with Maria Grand joining on two tracks) float over them, acknowledging them but never content with simply giving into the rhythms. Filiú and Stephens both play solos in "Fulcanelli" that seem reflective, halting at times as if they're expressing their feelings candidly with great effort. "Grass" combines a thoughtfully free part by Weinrib with more long tones from the horns, inspired by composer Oliver Messiaen. Of the three danzas composed for the album, "Danza #1" begins with a stuttering line similar to "Harina Con Arena," a brooding piece that appears earlier on the album. But "Danza #1" leans heavily on Sanchez and Weinrib to set the mood. While they take on similar duties in "Harina," Alessi and Filiú both play with more aggression on that piece. Like Threadgill, and like the housing cuarteria that inspired Filiú, the saxophonist has created an album overflowing with diverse voices, with different ones coming to the forefront with each new listen. To read my review of Henry Threadgill Ensemble Double Up's Old Locks and Irregular Verbs CD, click here. To ready my review of Zooid's In for a Penny, In For a Pound, click here. To read my review of Zooid's This Brings Us To, Volume II, click here. Before I could read, I had a record player. The first one that I used had two speeds - 45 and 78. The needle was more like the type you'd find on a victrola, and the speaker was in the plastic tone arm. With that kind of set up, it's no wonder the records I'm about to describe disappeared early on. I had a handful of 45s that I used to play a lot. I could tell them apart by the label designs, the level of wear to them and maybe the shape of the words. My parents told me the names of a few. One of my faves ways "York's Sauna" by the Don Scalleta Trio. It was a funky piano trio song split over two sides. I preferred "Part Two" in part because Side One was riddled with skips, the type that gets stuck in the grooves. Side two also had a great drum break in it. I also had records by the obscure California psych band Kak, the British group the Tremeloes (even after I could read, I still had trouble with that name) and an Okeh single by Little Richard- the greatest version of "Lucille" backed with "Whole Lotta Shakin' Going On." I have been able to find all of these in recent times. But there were two records that disappeared (i.e. probably wore out due to that needle) that I never recalled. Until recently. One was also on Capitol, whose swirl label I remembered thanks to "York's Sauna" and the Nat "King" Cole record I also played extensively. In my little mind, it sounded like a rock band, one where the singer sounded a little old and the sound of the piano in the introduction always made me check to make sure it was on the right speed. Don't ask why I thought this with that particular record player. I might have played it on the family stereo in the living room too. A few weeks ago, I decided to Google the line I remembered from the song, along with "Capitol" in hopes that I might get somewhere. It turns out, the line was the title: "Now I'll Never Be the Same." And the mystery band was........... the Four Preps? There have been many "Four" bands since the post-war years in popular music. The Preps were less like the Four Freshman or Four Lads and more in league with either Kingston Trio or more well-scrubbed folksingers of that '50s. One of their hits was "25 Miles (Santa Catalina)," which was a semi-regular song on the playlist of WJAS-AM before that station went under. They also did a song called "A Letter to the Beatles" of which the less that's said, the better. But one of the members of the Preps was Ed Cobb, who went on to write songs for groups like the Chocolate Watch Band. "Now I'll Never Be the Same" sounds very Spector-esque in production, thanks to producer Dave Axelrod. And Cobb, assuming he's the one singing it, is kind of going for the rough and rugged troubadour delivery, not unlike Barry McGuire in the New Christy Minstrels' hit "Green Green." Yes, that's Mr. Eve of Destruction in that song, a few years before he took protest music to the Top 40. I know all this stuff because thanks to modern technology, someone posted "Now I'll Never Be the Same" on youtube. It's one of those videos of a record playing, which is great because I get to hear it just the way I remember it from about 45 years ago. And in it, I found all tell-tale things that I do recall. Then there's the B-side, more of a novelty number: "Our First American Dance." It begins in more in a folky vein, sung from the perspective of what I can only assume as supposed to be "proper" English people (they fake the accent) thinking that they'll see people doing traditional dances in the U.S., finding instead a bunch of teenagers doing their thing, which they namedrop in the chorus. My three-year-old brain thought that at one point, they sang, "With a mickey or two." I wasn't too far off since the line is "...and the Monkey too." The Frug was also on the list. The biggest surprise to me is that there is no entry at all for this record on Discogs. I had hopes that maybe I could find a copy for a couple dollars. No such luck. Motivated by that success, I decided to look for another record. This time, I had a few more things to go on. This record was on Cameo, whose label design would come back to me when I found another of their records at a flea market a few years later. The song was definitely called "La La La La La." Stevie Wonder covered it on one of his first albums. About 12 years ago I was at a Northern Soul record night and one of the DJs was playing it. He puffed up like a peacock when I asked who it was and he made sure to tell me it was really rare. The singer's name went in one ear and out the other because it wasn't on Cameo. And Mr. Rare Records had no idea if that version had ever been on Cameo. Last week, I asked myself why I hadn't done this any sooner. Within about a minute I was grooving to Joey Roberts' Cameo 45 of "La La La La La" on youtube. Like "I'll Never Be the Same" it also had a piano riff in the intro that I remembered, which kicks in with the drums. In my mind, the title was the only set of lyrics to the song, but there are a few more simple lines, repeated over a 1-4-5 groove before it faded out (still in my mind 45 years later). It holds up pretty well. A few people are selling copies of this record on Discogs. The cheapest comes in at $29, which is a little too much to bring a tactile feeling to my nostalgia fix. Moments like this make me wonder if I should start rooting through piles of 45s that I see at flea markets and record shows. Maybe someday. In the meantime, this entry should show how important it can be to create a good logo for your record label. People will recognize it for years to come. Now maybe when I'm in the nursing home, yammering about "American Dance" and Capitol Records, people will understand. How is a person to assess a new Anthony Braxton disc? 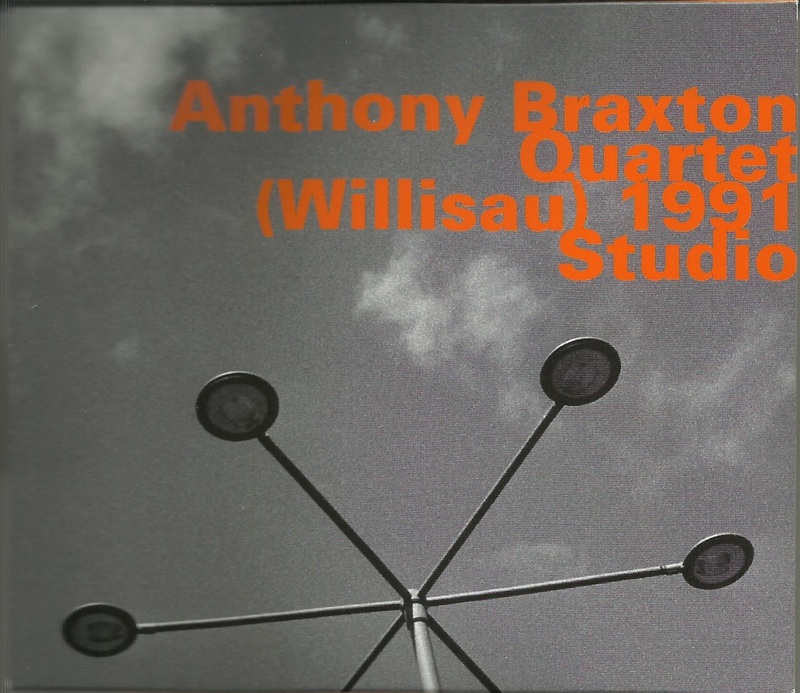 Its merit could be calculated in comparison to other albums in the vast Braxton discography. 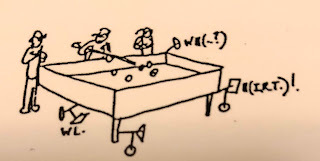 Perhaps it should be looked at in tandem with other sets that reveal a certain compositional approach that the multi-reedist was using at the time. Or perhaps, the personnel should be the starting point. Quartet (Willisau) 1991 Studio, a reissue of material originally released sometime in the year after it was recorded, comes not too many months after Sextet (Parker) 1993, the 11-disc set of Charlie Parker compositions Braxton played with a never-to-convene-again group of forward-thinking players. Considering that the humongous collection might be enough Braxton to last the average listener the full year, the above questions about criteria might be in order. This two-CD seat features one of his most celebrated quartets, with bassist Mark Dresser, pianist Marilyn Crispell and drummer Gerry Hemingway. A few tracks feature Braxton working with "C-class prototypes," where each band has an individual track of repeating material that they follow. There are also a few pieces that include band members playing different compositions than the rest of the quartet (indicated by the composition number in parenthesis). When the whole group shifts into another piece, a plus sign indicates the new number. A few compositions that feature the repeating lines, between improvised passages, can get a little unnerving. "Compositions 158 (+96) + 40L" and "Composition 159" both can sound more like they're built on repetitive saxophone lines rather than a tag followed by rapid improvisations. The latter especially features a recurring set of high notes on the alto that can be hard to take. 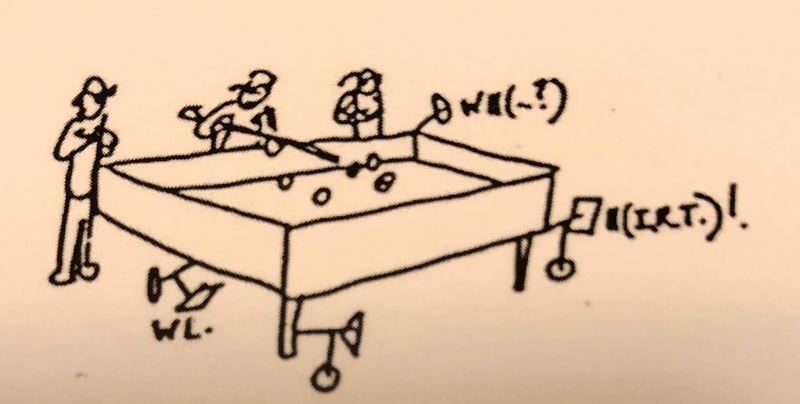 ("Composition 161") sounds more ominous than the image of three friends playing pool, though the composer says the trio is talking about "their feelings of pessimism" which is evoked by Dresser's arco work and Braxton's contrabass clarinet. Regardless of the imagery, it has a beautifully, haunting quality. 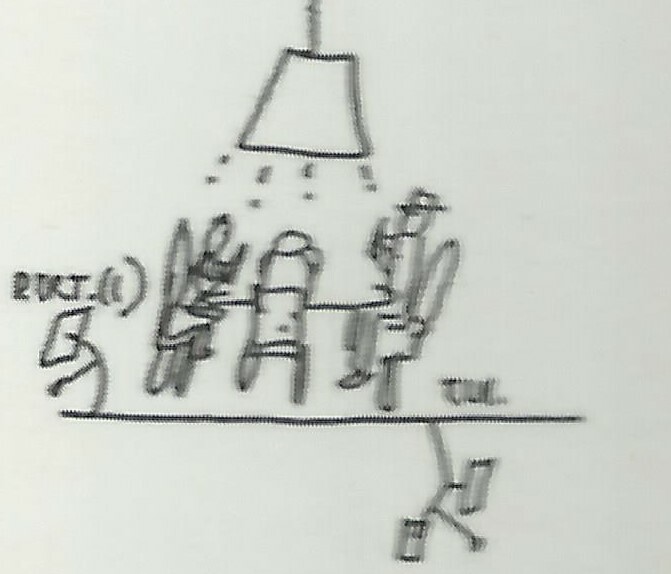 The set also revisits works from earlier albums. After some improvisation that sounds like a chamber group guided by Braxton's flute, they go into "23C" the cumulative song from his first Arista album, which takes the repetition in a deeper direction, adding more melody to the song with each run through. The quartet follows that with two more compositions before the piece concludes after a hearty 23 minutes. "40M," from his next Arista album (Five Pieces 1975) gives the entire quartet a lot of open space, from Hemingway's opening drum declaration to Crispell's explosive solo to Braxton's shrapnel-throwing alto. All of it is pulsed by Dresser's groove. While it's all extremely heady work, this two-disc package comes off as a very inviting set of music that should appeal to both longtime Braxton fans and newcomers. 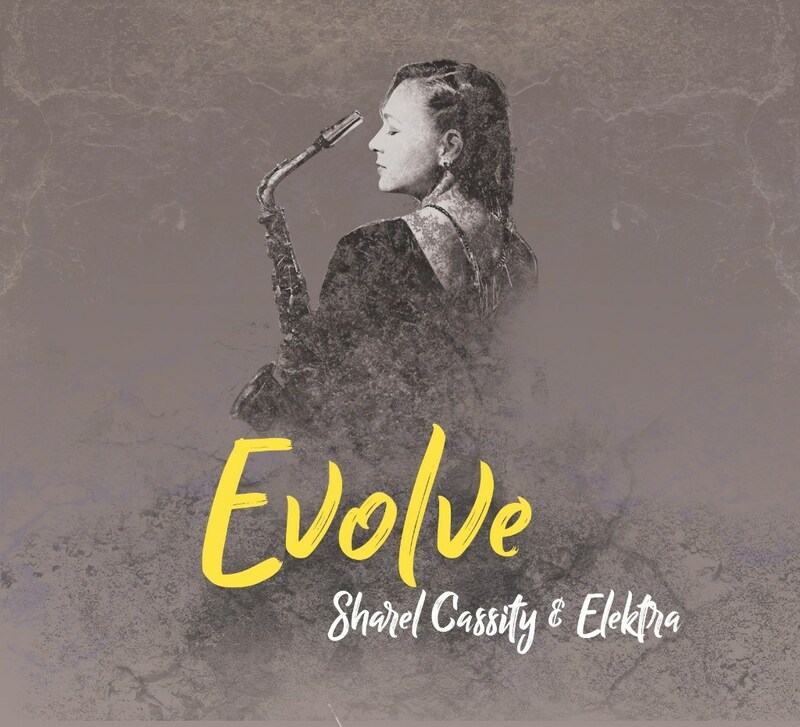 Saxophonist Sharel Cassity's roots run deep. This was apparent on Relentless, her sophomore release in 2015. Along with a set of straight ahead originals, the alto saxophonist took on Charles Tolliver's low-down "On the Nile." There is a good chance she picked up the tune via Jackie McLean's Jacknife session, which features Tolliver's trumpet and composition. Of course, it's likely that she heard the composer's own version of it on his session for Arista-Freedom. All this brings us to Evolve, her fourth album as a leader, which came out a few months ago. While at least one Elektra performance featured an all-female lineup, the album includes guitarist Mark Whitfield, drummer Jonathan Barber and - on one track - Freddie Hendrix adding flugelhorn rather than his usual trumpet. But Linda Oh handles bass duties throughout, and Ingrid Jensen plays trumpet and Lucianna Padmore plays drums, respectively on two tracks. Cassity continues to play like an ambitious soloist and composer on the title track. The electric 7/4 groove has a slipper quality, which she and Jensen bring it to life. The electronics on her alto in the second chorus expand the sound to her lines. At the far end of the album Cassity pushes herself into some wails during "Outlier," closing the set triumphantly. In between, things are little different. The cover credits don't indicate it, but the second and third songs come from Alicia Keys and Bjork, respectively. Keys' "New Day" features some tight trades between Cassity and trumpeter Marcus Printup. Barber adds some explosive fills that could get a crowd moving, though he would've benefited from more bottom end from the production. But vocalist Christie Dashiell's subdued vocals substitute the intensity of the original for a more a laidback mood that doesn't feel as convincing. Bjork's "All Is Full of Love," with Cassity switching to soprano, becomes more of a smooth jazz number. "The Have, the Now" really harkens back to the days of CTI Records. Whitfield's slick wah-wah effect and a brief interlude from keyboardist Miki Hayama both evoke the moist sounds of pop fusion of the '70s. "Be the Change" gives Cassity a chance to again show her alto chops, maneuvering gracefully through some time signature turns. But the power is almost lost after a spoken intro of generic New Age-y aphorisms (luckily they're banded in their own track). Sure, we need positive ideas these days, but the fact that we're already listening means we're already on her side. The liner notes, which incorporate all the song titles into the message, also comes off a little cloying. 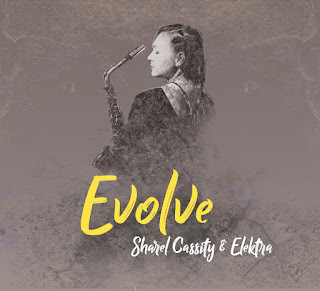 Since Evolve is a self-release, it's safe to consider the album is built on Cassity's vision and not the result of pressure to assuage a label exec hoping for more airplay (scant as that may be in 2018) or attention from a non-jazz audience. No one can fault her for wanting to move into new territory either, incorporating more stylistic ideas she's picked up along the way, as she did with "On the Nile." Hopefully she can find a balance between the elements that go down easy and the execution that keeps the bite in the music. I'm what you'd call a music enthusiast. Not one of those obsessive people, but definitely fanatical about it. This blog began as a forum for whatever I am listening to throughout the day but I'm also trying to include full-blown CD reviews too. UPDATED - 9/15/2018. Over the past couple years, most of the entries here have been focused on jazz, with fewer on indie rock or albums from my past that I've dug up. I'm not limiting myself to one style. But most of the music I receive is jazz and since there aren't a whole lot of jazz writers out there, I try to provide a forum for it. Regarding me, I've lived in Pittsburgh all my life and despise the people who live here who put it down because it says less about the town than it does about them. Until recently, I played bass and sang in a band called the Love Letters, who released a double 7" single. (Something else is sort of in the works but I'll keep you posted.) Prior to that, I played in Amoeba Knievel, the Fearnots and the Mofones. Previously I played in Bone of Contention (ever heard "Barbie Likes to Die"? People on the interweb have! ), the Pundits, Paul Lynde 451 and Mystery Date. After several years of freelancing for Pittsburgh City Paper, I now write for the new Pittsburgh Current, which everyone should check out online or in print. Nationally I contribute to JazzTimes magazine.